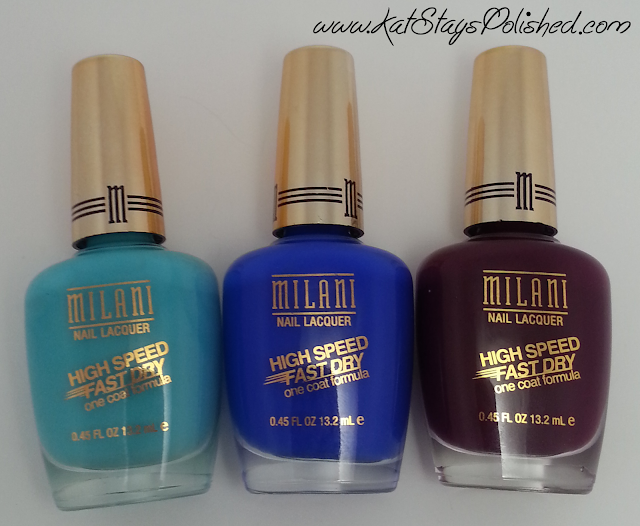 I about lost my marbles when I saw these colors being added to the High Speed Fast Dry collection from Milani. These colors are absolutely amazing! I do have some critiques so keep reading if you're interested. 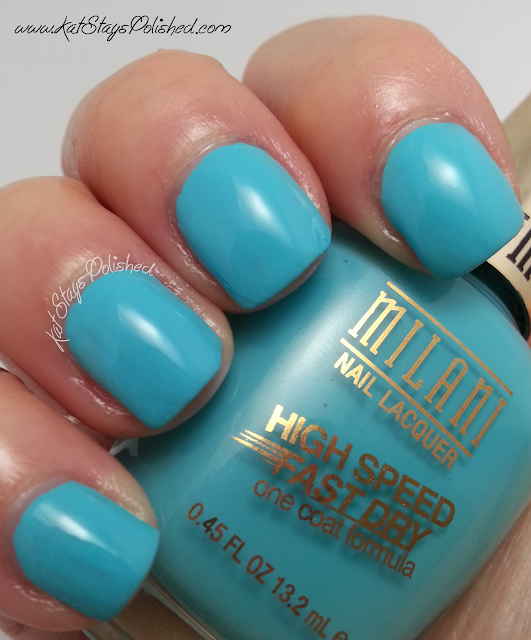 These polishes also have the wide, flat brush for easy application. All swatches have G&G Stuck on Blu! for a base and HK Girl Top Coat on top! Aqua Brisk is sooooooooooooooooo up my alley! 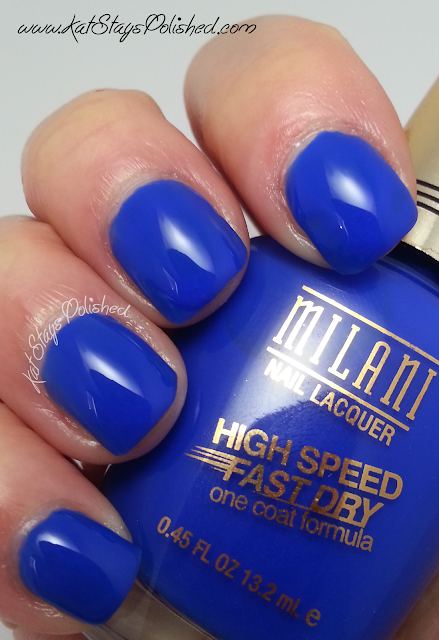 This is absolutely the most wonderful beautiful shade ever! This did apply in 1 even coat and dried so fast! I want to wear this one all day, e'ry day! 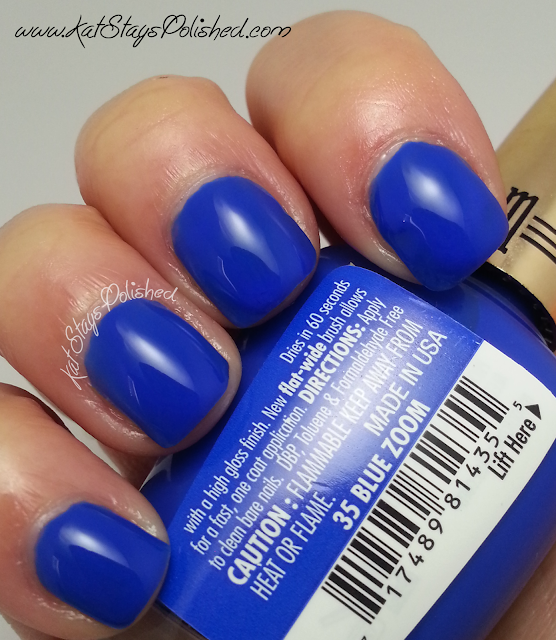 Next is Blue Zoom, a bright and creamy cobalt blue polish. Even though this is a HSFD polish, I applied it in 2 thin coats because I didn't want a thick layer of polish on my nails. It does dry fast so it's not like it'll take any extra time to add that 2nd coat. Look how bright this is! Sangria Rush is another one I used 2 thin coats with. I feel like I got better coverage doing it this way. Do whatever works for you and your nails. These will be available in February at your local CVS for $4.69. 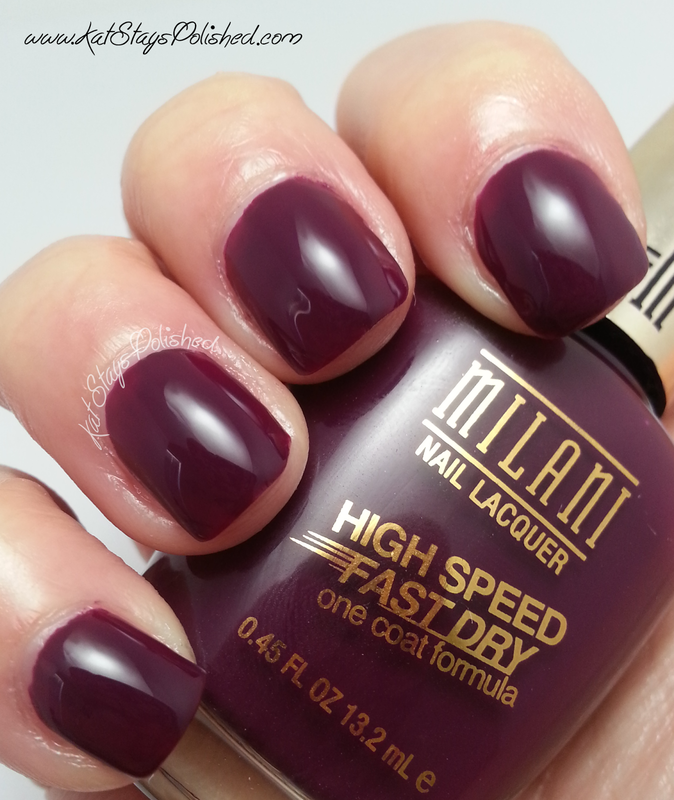 Be social with Milani on Facebook, Twitter, and Instagram. Love Sangria Rush and want to try Blue Zoom. I've never tried one of those "in your face cobalt blues"